Nearly half (48%) of the retired Canadians surveyed agreed with the statement: “I’m worried about my money lasting my lifetime”1. That’s an unsettling statistic as Canadians are living longer. The impact is that many of us are at a greater risk of outliving our savings. The silver lining is that you can still create a strong financial plan which can help you enjoy a more comfortable retirement. The best approach is allowing more time to let your savings grow. Target retirement age. The longer you work, the more money you can put towards retirement. But for some people, poor health or an unfavourable job market can force early retirement, and this could cause financial hardship. It’s wise to prepare for both your preferred retirement date and an earlier date, just in case. Retirement income sources. To see if you will have enough to fund your retirement, try estimating the money you’ll have available in retirement, from savings and investments to pension plans, registered retirement savings plans and government income sources. 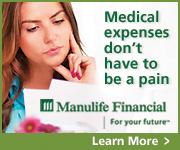 You’ll then need to estimate your expenses in retirement to see if any funding gap exists. Retirement lifestyle. Freedom from working also means finding ways to occupy your time. Hobbies, travelling, spending time with family and doing charity work are common retirement pursuits. Once you have an idea of your desired lifestyle, you can calculate the cost of those pursuits in retirement. Many Canadians are either misinformed or working with incorrect assumptions when it comes to planning for their retirement years and retirement income. Getting educated on how much you will need, and where it’s going to come from is a critical part of planning for your future and adjusting to new economic realities. This is where I can help with expert advice to help you reach your retirement goals. Do you know how much you need to save to retire? 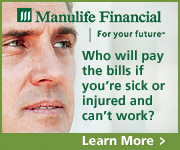 Or how much you will need in retirement income? Call me today to discuss your retirement income needs. Together we can develop a plan that takes into consideration everything that can impact your retirement plans. 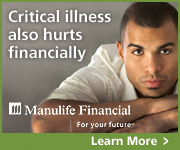 Financial Planing Toronto, Richmond Hill, Markham, Scarborough, Brampton, North York.